Last night, while watching WrestleMania 33 with friends, it looked like the time had finally come. The last gong blared, the purple lights faded to black, and the Undertaker retired. At least that’s how it looks. There’s been speculation about the retirement of the Undertaker for years. Headlines that “the Undertaker retired” have come and gone. They’ve always proven false alarms, but last night felt different. It was concrete. 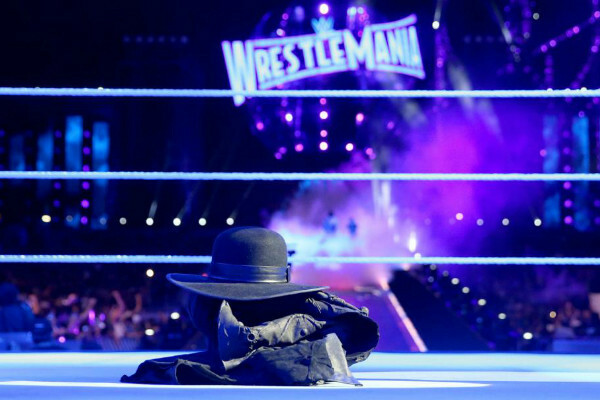 The Undertaker symbolically placed his iconic gloves, hat, and trenchcoat in the center of the ring, then, breaking character, kissed his wife, and faded out after a long serenade of shocked, sad, thank yous from the fans. If he hasn’t retired after last night, I’m not sure how else he’ll handle doing so. WrestleMania 33 was a stinker overall. The Undertaker deserved a better last round and I would have preferred to see him give the prestige of the match that retired him to anyone but Roman Reigns who, though I haven’t watched regularly for four years, seems even more astroturfed than John Cena was in his superman days. But none of that mattered in the end. WrestleMania 33 was all about the legendary career of The Undertaker and what he gave to his fans. It was all about those fans sending him off with love after he retired. The Undertaker undoubtedly dominated his field, and retired after earning True Glory. His name will forever be spoken on the lips of anyone involved in wrestling, from fan to owner, forever. His kleos, his everlasting renown, is secure. How has the Undertaker retired with kleos while almost everyone else who enters that ring remains nameless? Undertaker debuted at Survivor Series in 1990. Nothing like him had ever been witnessed before. The character immediately engaged all your senses. He came out to the most bone-chilling music you could imagine, looking like death. From the get-go, there was nothing to prove. You were pre-suaded, you could say. Ideosensory trance is another form of hypnosis we experience daily. It is based on our innate abilities to create in our minds visual images, feelings, voices, sounds, and even tastes and smells. When did you engage in ideosensory activities today? When you vividly experienced something that was not going on in “real time.” Some examples: When you imagined what you might have for lunch or dinner, when you imagined what you might do at home tonight, or when you imagined a sales call, or mentally rehearsed what you might say to someone else in the office today. Did you see the expression on his face? Could you hear his words and feel yourself reacting? You were in an ideosensory trance. Very persuasive individuals can orchestrate vivid images that influence both the perception and mood of the listener. Highly-skilled salespeople use “word magic” to bring their prospects and customers to other worlds of sights and sounds and feelings. Undertaker often used word magic to engage the senses and imagination in his promos, but his presence was far more powerful. It put you in hypnosis from the moment that gong hit. You’ll remember the music and the man before the words he said. He was a master at spectacle that didn’t just give you a rush in the way that Stone Cold Steve Austin or the Rock did, but implanted itself into your psyche. It was true from the day the Undertaker debuted to the day he retired. Even his comeback at Judgment Day 2000 when he dropped the Deadman gimmick was hypnotic, given the vignette and the ghostly, captivating Harley ride. You were open to suggestions just by the presence of the Undertaker. You wouldn’t be able to forget anything that he did just because of who he was. That’s the strongest form of persuasion you’ll ever see. Undertaker was an instant success from his debut. He started as a main event guy and retired there, but why? After 27 years, people are bound to get bored of your act, you would think, but when the Undertaker retired at last night’s WrestleMania, he was just as much beloved and captivating and persuasive as when he started. This is in large part because he didn’t stay static. He never rested on his previous success. He was always innovating his character, adding new things, taking away others, responding to the crowd. When he debuted in 1990, the character was in the trope of the mortician in old Western movies. He was almost literally a deadman. He was a ghost with no connection to humanity or feelings. He was impervious to pain. For the first few years of his career (and the last), this was his general persona, though he changed his attire, his hair, and other odds and ends. In the mid-90’s, when the cartoon characters began to grow stale, the Undertaker was presented with a dilemma. How could he stay relevant while a newer, grittier, more realistic form of entertainment was setting in? His first answer, around the time of WrestleMania 13 in 1997, was to become the Lord of Darkness. He went from undead indifference to an evil dark lord along the lines of Sauron. We learned that he set a fire that killed his parents and scarred his debuting brother, Kane. Eventually, he became a cult leader in the form of the Ministry of Darkness stable, which would emerge as loyal pawns to Vince McMahon, but Undertaker describes this time, in 1999, as a low point for him, creatively. He also suffered a groin injury that could have retired him then and there. Although he was successful, the kleos of the Undertaker was far from secure in 1999. Had he retired in 1999, he would be an alum, but not a legend. He would need to fully adapt to the Attitude Era to mount a great comeback, and that’s precisely what he did. For the next few years, Undertaker wrestled essentially as a souped up version of his real life personality. He hearkened back to the Deadman at times, particularly in the beginning with the long trench coat, but he became a real human being with shades of darkness in him. Not everyone could pull off such a transformation, but the Undertaker did it, and did it well for almost four years. But the Attitude Era passed, and in late 2003, Kane “buried the Undertaker alive.” Closing in on 40, few would imagine at the time that the Undertaker’s best days were still ahead of him, but they were. Times had changed once again, and there was an appetite for caricature again, in a strange fusion between the gritty realism of the Attitude Era and the cartoons of the 80’s which has lasted in some form or another to this day. In what was undoubtedly the best and most memorable entrance of his career, the Undertaker returned as the Deadman at WrestleMania 20 in 2004. The hat and trench coat of the early 90’s were back, but updated. Yet, he also retained some aspects of his more realistic, Attitude Era persona, such as the MMA gloves, along with the accompanying moves he had added to his arsenal during those years. Those moves would grow, because while the Undertaker didn’t change his persona much from 2004 onward, he innovated in different ways. He reinvented himself in the ring itself. He still dominated his old haunts like Hell in a Cell matches, but he also found himself in increasingly technical contests. Undertaker was always an extremely agile man even at his size, but he showed some of the best sides of his athleticism in this period. You could just as easily find him squashing a jobber, to getting into an all-out brawl with Batista, to wrestling in technical classics against the likes of Kurt Angle. 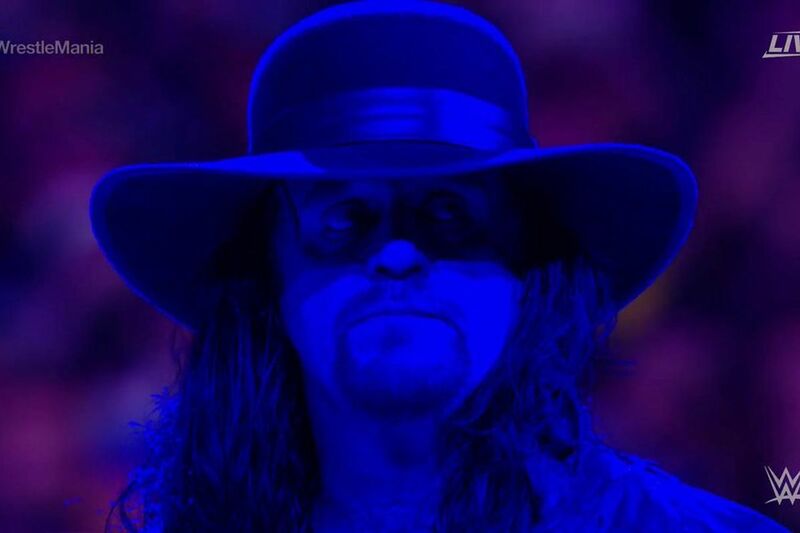 Finally, Undertaker’s mystique evolved in a different way. Through a coincidence, he had never been booked to lose at WrestleMania before. This coincidence became a full-blown character trait starting in 2005, when Randy Orton, then still a fresh face looking to prove himself, made a big deal about “killing legends,” and how he planned to break the Undertaker’s undefeated streak at WrestleMania. He didn’t. No one else managed to do it either for the longest time, but each year, the streak became more and more important. Fans flocked to see it defended. Undertaker’s WrestleMania matches often took precedence even over title fights. That’s how important he had become in the years before he retired. The streak matches peaked at WrestleMania 25 in 2009, when Undertaker had the best match of his career at the age of 44 against a similarly-aged Shawn Michaels. This match was followed up by another classic in 2010 between the two of them after which Michaels retired. The Undertaker’s WrestleMania career is what he became best known for. His title runs were relatively mediocre, but no one would ever forget his WrestleMania matches. WrestleMania was indelibly his brand. WrestleMania was the capstone that cemented everything else – the legendary gimmick matches he pioneered, all the years in the ring, all his changes in persona and attire and moves. Add them all up and you have an immortal legend. Whether it was from a change of attire or persona or the way in which he wrestled, there was always something new to talk about, always something that demanded your attention, something that was unforgettable. When the streak ended in 2014 at the hands of Brock Lesnar during WrestleMania 30, everyone wasn’t just shocked, but they felt like they were in a dream. When the Undertaker finally retired at WrestleMania 33 last night, it felt even more a dream. I was barely 3 when the Undertaker debuted. I am 29 now. Through all the years, from pre-school to the school of hard knocks, from the bad times to the good times, through five presidents, through every trend and every fad, from peace to war to culture war, the Undertaker was there. He was the one thing that never changed. Astrology is cold reading, vagueness, and confirmation bias, but there is one interesting astrological trope that coincidentally is arriving for me just as the Undertaker retired. Saturn’s orbit comes at a period of just under 29 and a half years. Should violence or disease not claim you early, the Return of Saturn usually happens three times in a person’s life, symbolizing the end of one era and the start of another – youth, maturity, wise old age. Saturn is also the planet of death. It seems fitting that the Undertaker retired at roughly the same time Saturn, the planet that best fits his character, returned to me. Last night’s WrestleMania really did feel like I was at the end of youth, and my friends plus many others felt the same way. Those are the feelings that you can induce in others by being unforgettably, hypnotically persuasive and by always innovating, never resting on your laurels, always providing something new and captivating. The Undertaker was a major influence on the character of Roger (last name withheld for now), the man who reluctantly comes to be the leader of the Martian military forces in my upcoming epic war novel, The Red War. When it’s released, I’ll help to give back to the culture through what the Undertaker helped give to me. In the meantime, read Stumped because you want to be as unforgettable in your field as the Undertaker was in his.